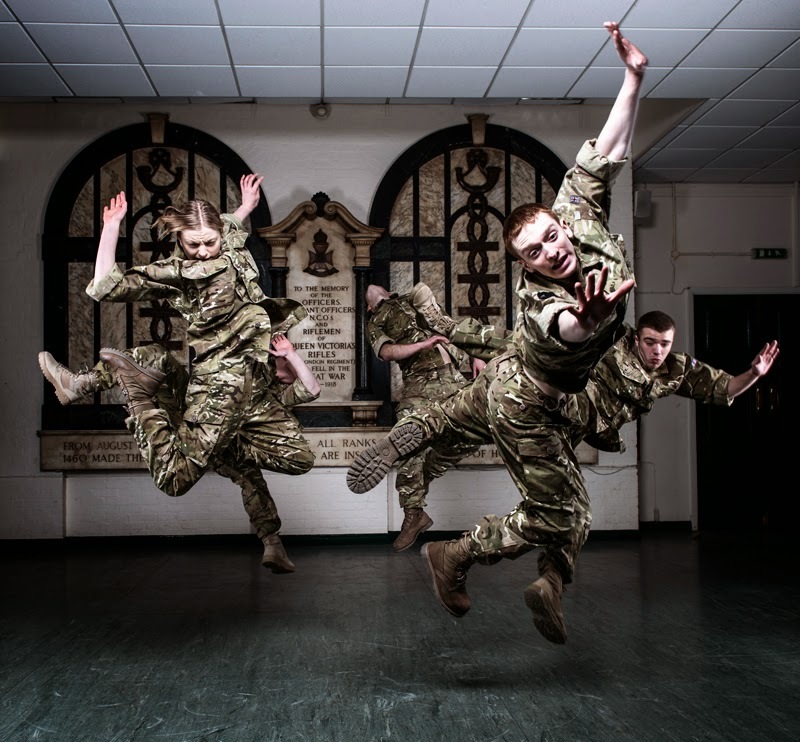 Rosie Kay Dance Company, the international award-winning dance theatre company headed by artistic director and choreographer Rosie Kay, will tour its thought-provoking and extremely moving 5 Soldiers: The Body Is The Frontline from 23 April to 13 June visiting Dance City in Newcastle on both 14thand 16th May 2015. 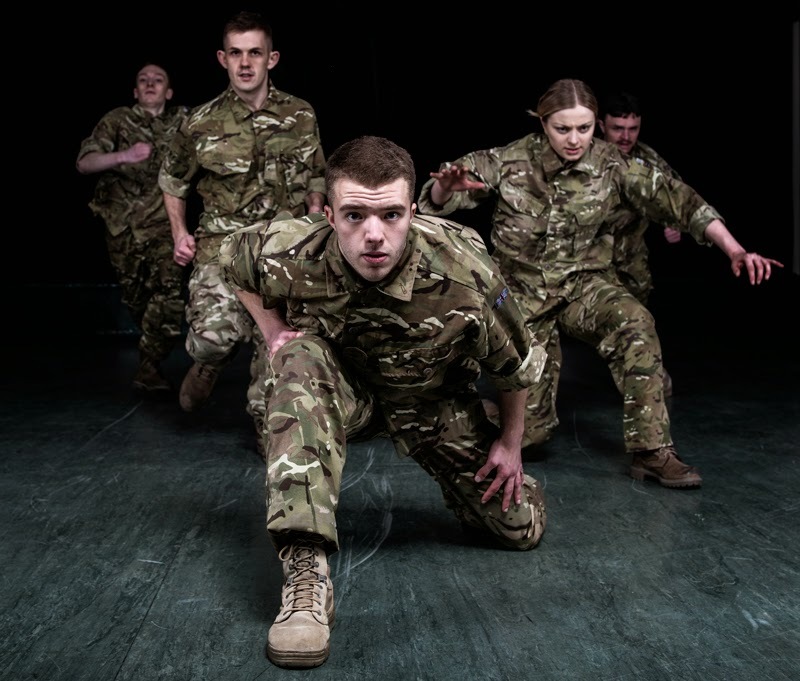 The tour, the first of its kind in the UK, will see the company working in partnership with theatres, military bases and the Army Welfare Service. 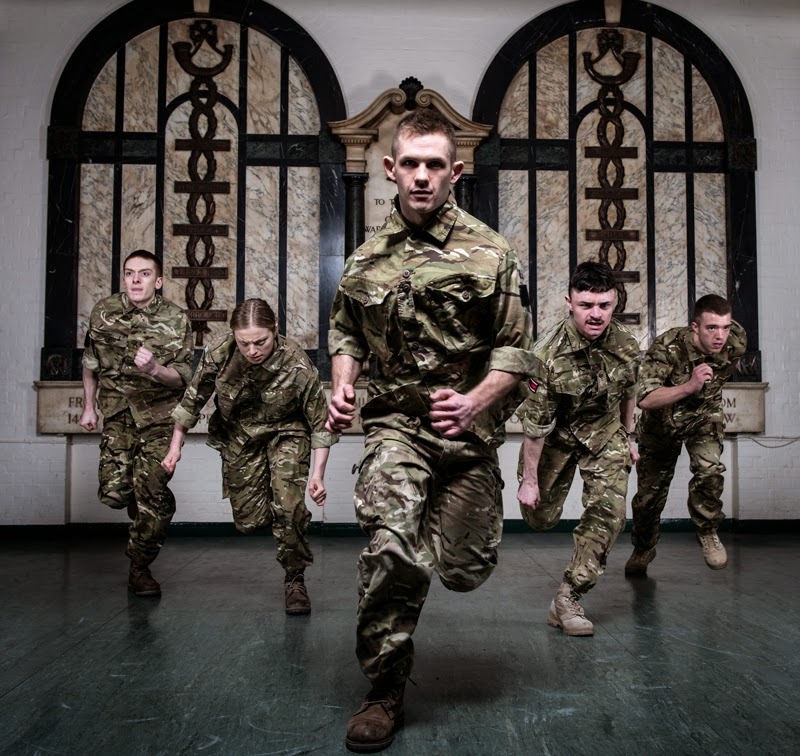 This unique style of intensive tour model comprises of two months of community outreach work in each location, leading to a weekend of events, community performances, the professional shows and post-show talks with Kay, the cast and a local Commanding Officer. The tour will engage with local theatre and non-theatre venues, including building theatres in drill halls and in Officers’ Clubs, to develop a relationship between military bases and the local arts community through a huge community engagement programme working with communities, service personnel and their families, young people and veterans. In advance of the full show, a 20-minute version of the piece will be performed in the town centre by the professional company. 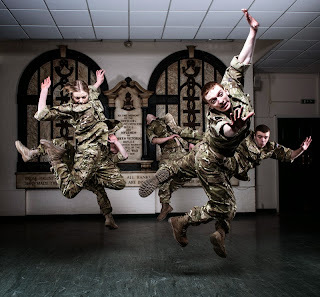 No-holds-barred, 5 Soldiers delivers Kay’s trademark style of intense physical and athletic dance theatre. The work received audience and critical acclaim in 2010 and 2011, and has been endorsed as ‘getting it’ by its military audiences. 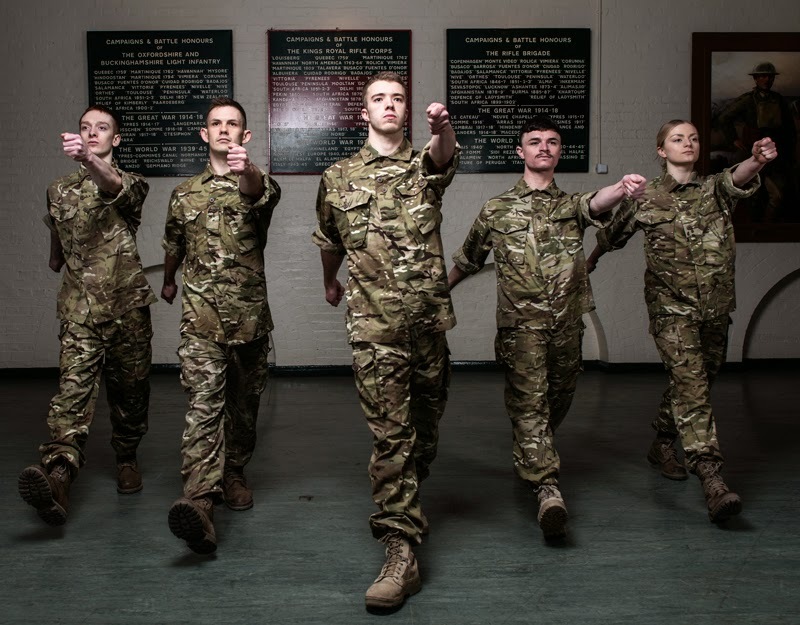 Supported by Arts Council England and Army Benevolent Fund, The Soldiers’ Charity, the 5 Soldiers tour will open at Birmingham REP on 23 April, marking five years to the day since the work received its world premiere at International Dance Festival Birmingham 2010. 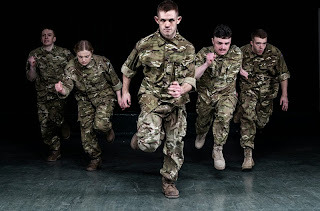 A visceral ‘tour de force’ of the senses, 5 Soldiers provides an intimate view of the training that prepares our soldiers for the sheer physicality of combat, for the possibility of injury, and the impact conflict has on the bodies and minds of everyone it reaches. 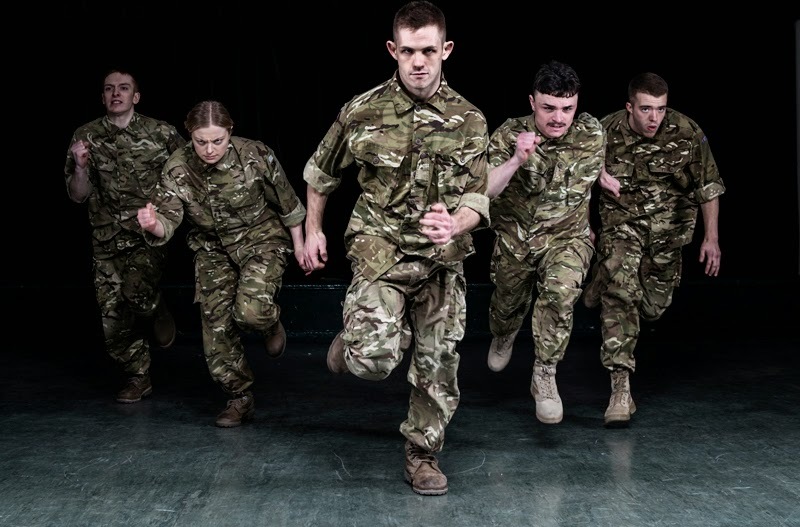 The piece has a powerful physicality, moments of humour and is full of honesty, all inspired by input from serving and former soldiers. Kay’s moving exploration of war was made following an intense period of field research when she joined The 4th Battalion The Rifles for two weeks and experienced full battle exercises on Dartmoorand Salisbury Plain. Kay then visited the military rehabilitation centre, Headley Court, to see the effects of conflict and training on the soldiers’ bodies. The 2015 tour sees Kay re-work 5 Soldiers. Says Rosie Kay, artistic director of Rosie Kay Dance Company: “This tour is so exciting for the company- we really want more people to see the work, and experience the power of the message. Despite advances in technologies of war and the treatment of war injuries, so many people are going to be dealing with the impact of our long stretch of operations. This affects not just soldiers, but their families, their friends and it affects us as a society. We have a responsibility to understand what it is we ask our soldiers to do, and how it affects them. 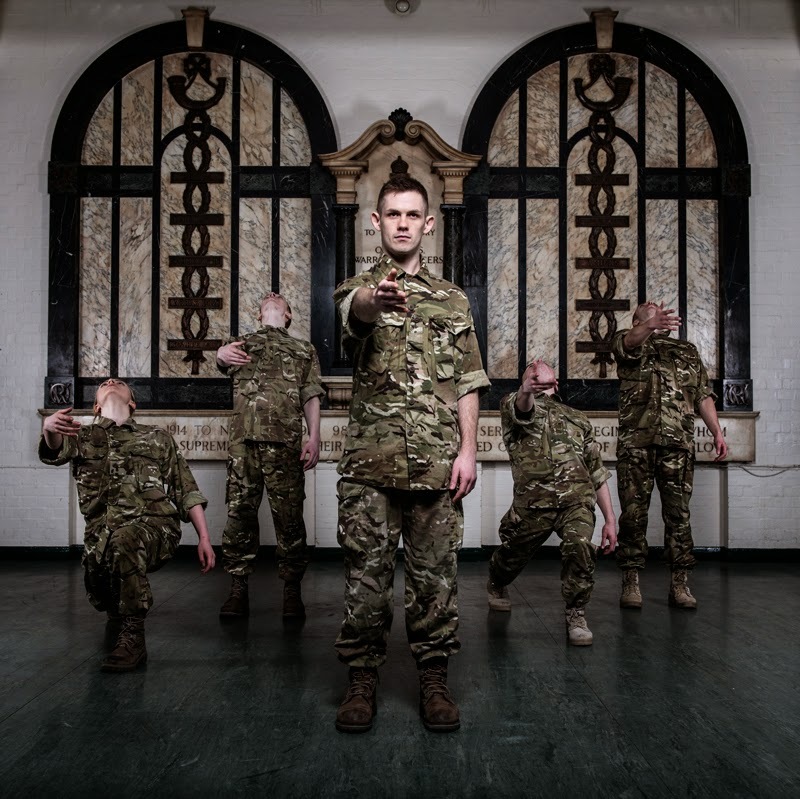 We know 5 Soldiers really resonates with serving and former soldiers, and so we are widening our tour to include performances, talks, a symposium and an incredible outreach programme across the whole of UK. 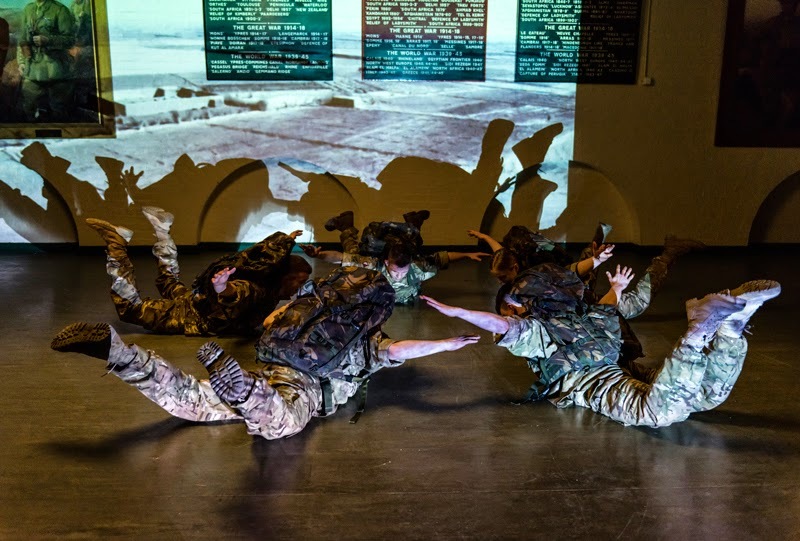 It’s an ambitious programme for us as a company, and combines all our years of experience from making outdoor work, site-specific work, community engagement, high quality touring work and professional training and development. 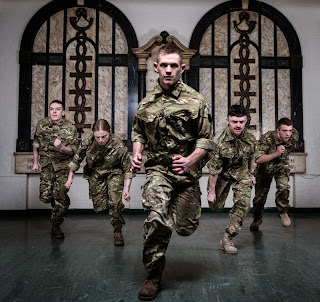 New to the company are five outstanding dancers – Duncan Anderson, Chester Hayes, Sean Marcs, Oliver Russell and Shelley Eva Haden – during the intense six-week rehearsal period they will participate in a weeklong military exercise with The 4thBattalion The Rifles on the Salisbury Plain. 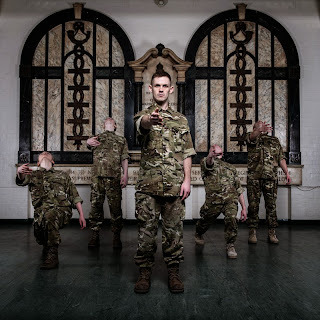 5 Soldiers brings together an exciting mix of collaborators: designer Louis Price, composer Annie Mahtani, Dramaturg Ben Payne, lighting designer Mike Gunning and visual artist David Cotterell. Kay is one the world’s leading female choreographers with a reputation for making strong, intelligent work that tackles interesting subjects with exciting collaborations. In 2012 the company was nominated as Best Independent Dance Company by the National Dance Awards, Critics Circle. Kay choreographed the 2013 feature film Sunshine on Leith, directed by Dexter Fletcher, with songs by The Proclaimers. In 2013, Kay was the first choreographer to be appointed the Leverhulme Artist in Residence at the School of Anthropologyand Museum Ethnography, University of Oxford.